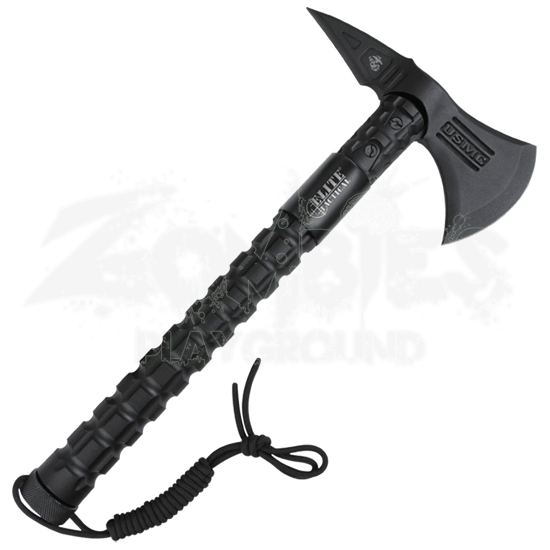 A fantastic piece of survival and tactical equipment the USMC Bruiser Axe lives up to the name and then some. With a stainless steel blade and pick this axe is equipped to handle any task with brute strength and the heavy duty nylon handle and lanyard make it easy to use and control in the field. 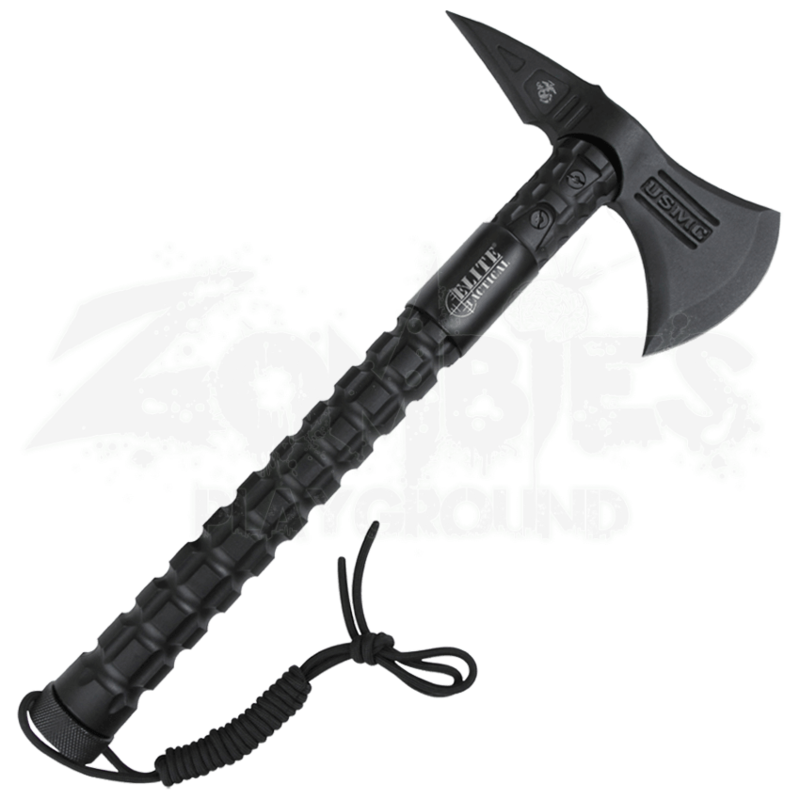 Equipped with a compass on the handle end and a water resistant capsule containing matches, striker, fishing line and hook, and a bandage, this axe has you covered with everything the prepared survivalist needs. And a 1680D nylon sheath makes it easy and safe to transport. Be ready to be ready for anything with the USMC Bruiser Axe.